This wild and unhinabited Island is a secret refuge for migratory birds. It is totally covered by the Mediterranean scrub vegetation and only during the V century a.D. some monks and hermits began to live in a small part of this island: in fact the only one building, Villa Watson-Taylor, is still visible at Cala Maestra. Only fifty tourists every day can visit Montecristo (for a total of 1000 visitors every year). 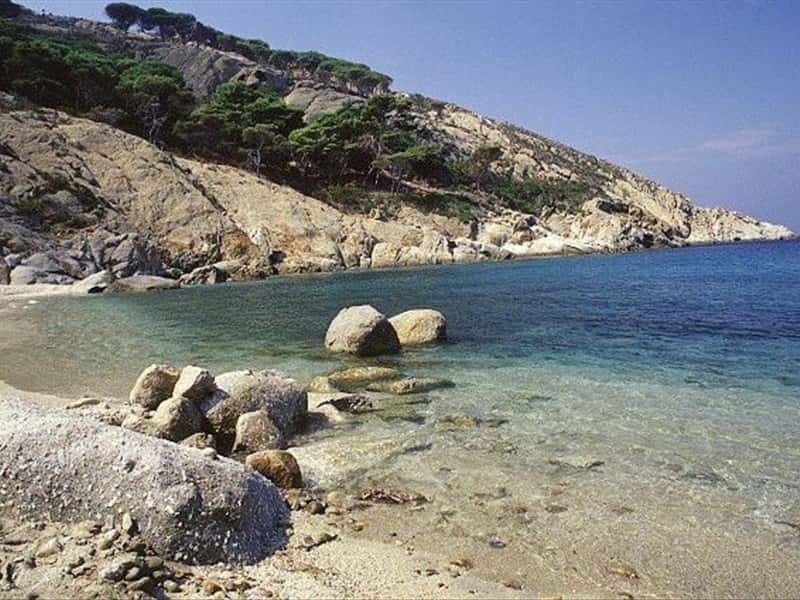 It's very difficult to visit it, but it's not so important: Montecristo, scented of resins and oleanders, inhabited by saints, dragons, pirates and monks, according to the legends, and rich in forests, fresh waters sources and cliffs is still "the island that doesn't exist": mysterious, magic and beautiful! We only need to imagine it in this way! This town web page has been visited 17,416 times.